Priced Reduced to Sell!!! Bring All Buyers !! Motivated Seller! 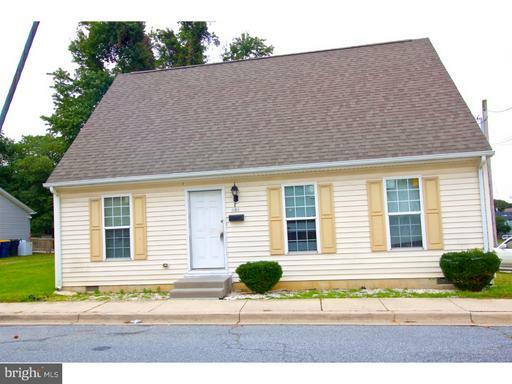 Cozy - Cape Cod 3 Bed 2B Bath Home is Available! Great Investor Property for Rental Income. This home features 3 spacious bedrooms and 2 full bathrooms. This Home has a First floor Master and Master Suite!!! Two bedrooms located upstairs. The kitchen includes all appliances. This Home also features First floor Laundry. Great floorplan with lovely Dining room off the kitchen. Very spacious Living room for entertaining. Home is located on a corner lot which has a convenient driveway for parking. This property also includes a shed for storage and lawn equipment. Home is centrally located in Milford close to Shopping and restaurants. This affordable home is now available! Call Today for Your Showing Appointment!! !